Ya gotta have it. Coffee. Toothbrush. 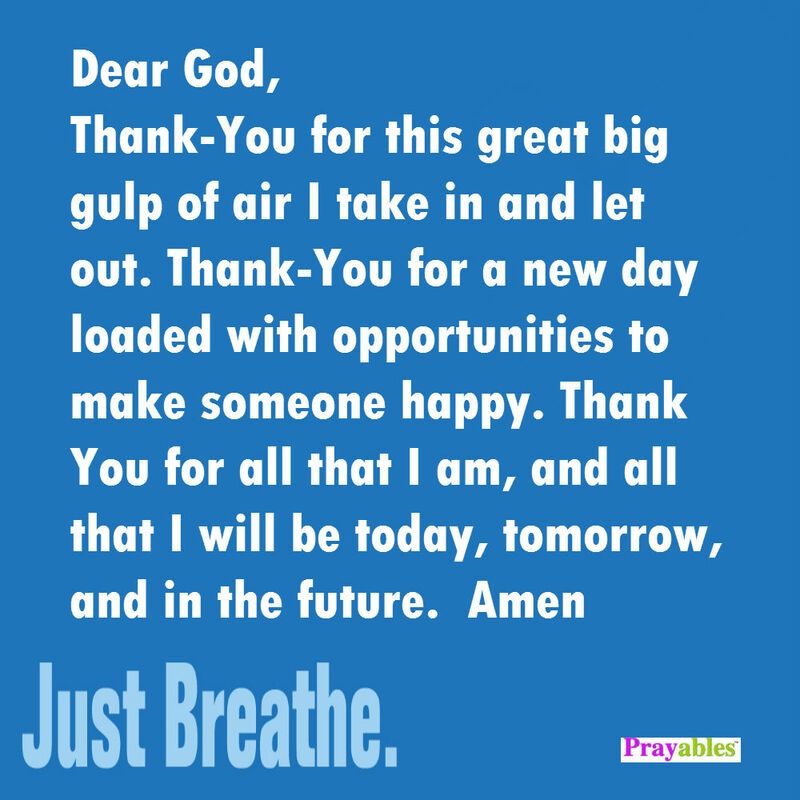 Daily prayer. Every morning when you wake up you get a virtual gift card. God delivers the opportunity to spend your day well. 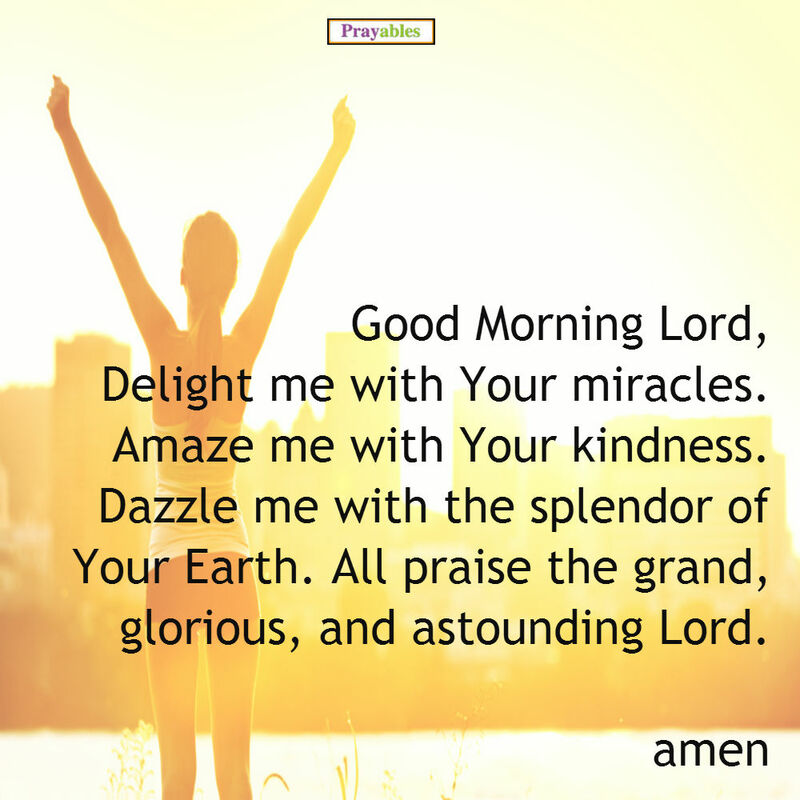 Pray to praise Him. Pray to give thanks. Pray for help. This is your morning, do what you will, but do what you must. Pray without ceasing. Nice idea, but you’ve got a little something to do called “my life.” How in the H-E-double hockey sticks are you supposed to find the time for spirituality in a busy day. Just doing what needs to be done doesn’t leave you with a spare second. One wise man said, “I pray with my feet.” Movement. Doing. Action. 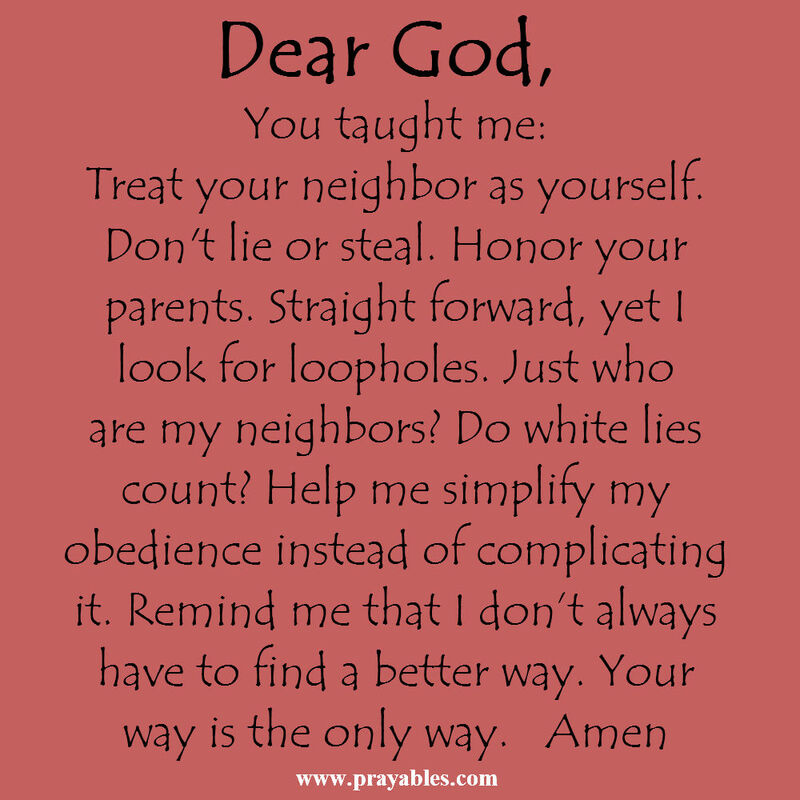 Let your actions be a prayer to God. Be good in the work you do. Really good. Don’t half-a$$ it. You are honoring the Lord when you make the ordinary extraordinary. When you put care and thought into everything you do, you are living a Godly life. That’s prayer in action. Who says you have to be in one certain place to talk to God. God’s house isn’t a brick building. If you believe that you have a spark of the Divine in your soul ( and why wouldn’t you believe it?) then know that everywhere you are is a sacred space. You are God’s dwelling place. Incense, candles, and stained glass windows are nice. It creates a mood. There’s comfort to being welcomed into a place filled with Godly reminders and ritual. Yet, that’s only one part of it. The holiness you seek is within. Daily prayer is the ritual that can take place any where. Be bold, be daring. The next time you’re in the bathroom, give thanks for the miracle of human plumbing. Be amazed by the complexity of your body. Be grateful when it functions as it should. Make sacred space wherever daily miracles happen. Prayer isn’t something you skip. It makes you feel better. Treat yourself. Take time when you can, to have a conversation with God. In fact, make time. Carve out even a minute or two, while you’re waiting in line, or in between tasks. Let your actions be a testament to your faith. Live fully in the moment by focusing on why you exist at all: To honor God with good behaviour. Pray anytime. Pray big time. Pray anywhere. Pray everywhere. 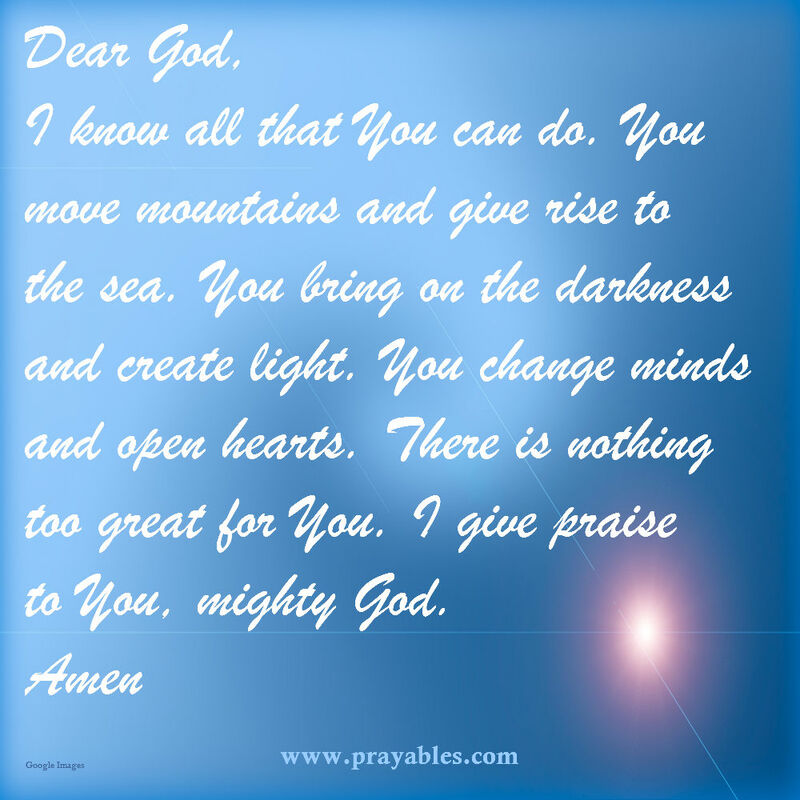 We’ve got inspirational prayer quotes – READ & SHARE! 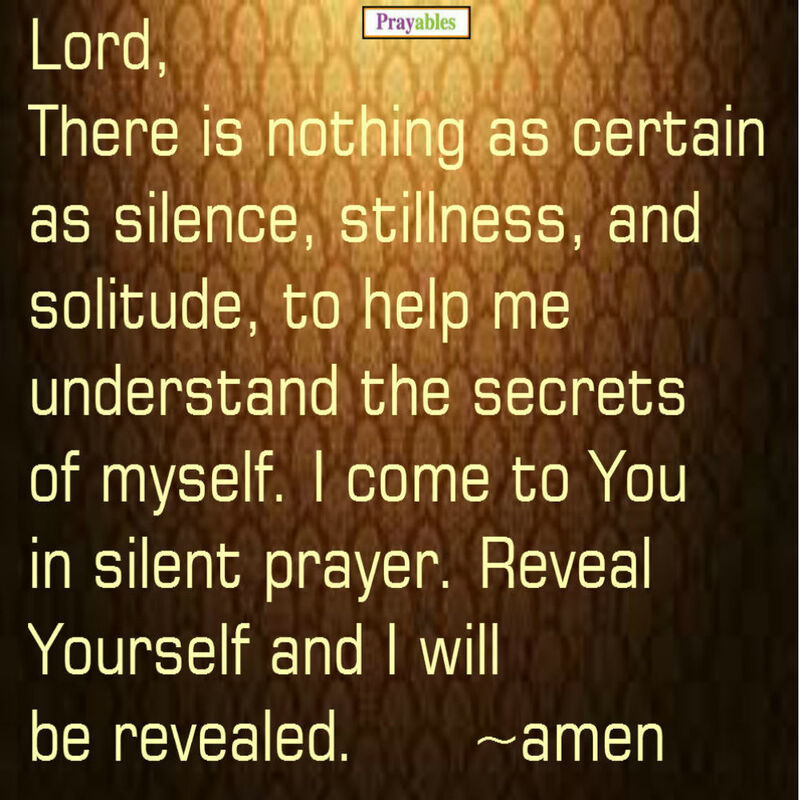 I use to receive Prayables daily and all of a they stopped, I do not know why. Please start sending again I really miss receiving them, they are so inspiring. 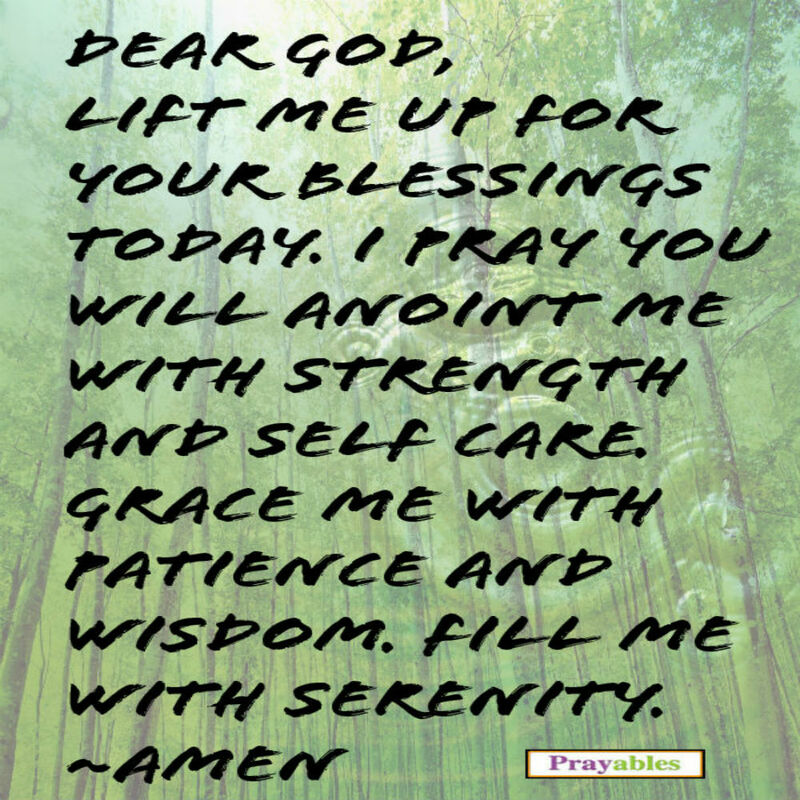 Thank you for requesting the Daily Blessings. I have added you to the subscriber list. God bless. Thank you Mya! 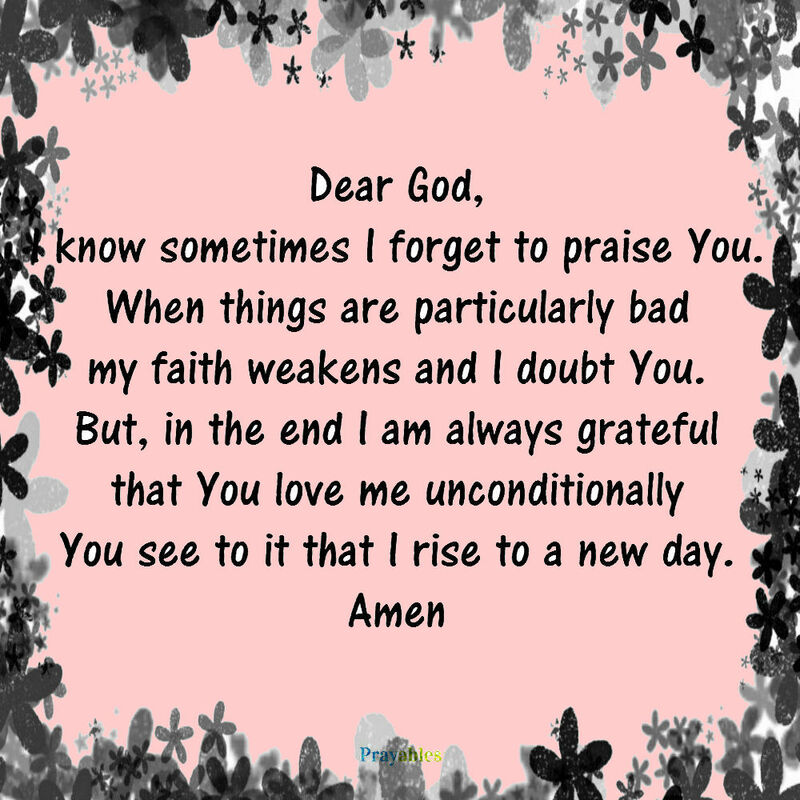 You have been added to the Daily Blessings list. God bless! Thanks for your support Troy, you are on the list! Enjoy the Daily Blessings.